In the recent article posted in Android Authority, Google maps extend their real time incident report to another 46 countries, we all know that last June Google officially purchased Wazed for $1.3 billion. Initial rollout of real time incident report was quick but also limited to iOS and Android users and just for 13 countries; Argentina, Brazil, Chile, Colombia, Ecuador, France, Germany, Mexico, Panama, Peru, Switzerland, UK and the US. That was before, today Google is expanding the effort to 46 new countries across the globe. Although Google has yet to reveal the full list of countries, Mobile Syrup reports that the service has now gone live in Canada. 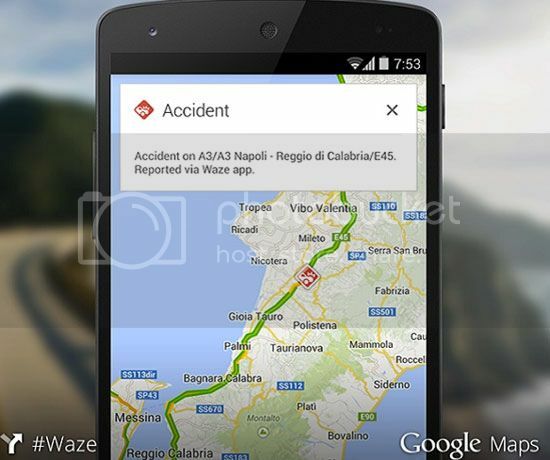 Judging by the screenshot above, it’s also safe to say that Waze data will be making its way to Italy. I know what your thinking, how can I get this update? Well, if your country is not included in the list that will roll out, sorry mate, but nothing you can do aside from waiting.